I am a graduate of the University of Michigan, an avid hockey fan, and live near Detroit with my wife and two daughters. 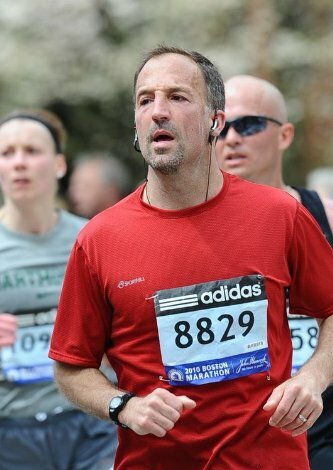 I have been in recovery from addiction for 25 years, and in this time have run 13 marathons, including Detroit 5 times, Chicago 3 times, the 2010 Boston, and the 2013 New York City Marathon. I am also a licensed professional counselor who has worked for many years as a therapist, but many more years as a writer. My latest releases are MILK-BLOOD and ALL SMOKE RISES and feature heroin addiction in a way that I am confident you have never seen before. A contract for film rights has just been signed. My first novel, STRAY, is based on experiences working in a treatment center with an animal shelter right next door within barking distance. My second novel, THE JADE RABBIT, is the story of chinese adoptee who runs marathons to cope with lingering trauma and stress. My third novel, ON THE LIPS OF CHILDREN, was published by Books of the Dead Press and has received incredible reviews. I have one piece of non-fiction, based largely on material from previous blog posts, titled: CHASING THE DRAGON: RUNNING TO GET HIGH, also available on Amazon. Finally, perhaps my penultimate project is the anthology of incredible writers included in GARDEN OF FIENDS: TALES OF ADDICTION HORROR now available on amazon.